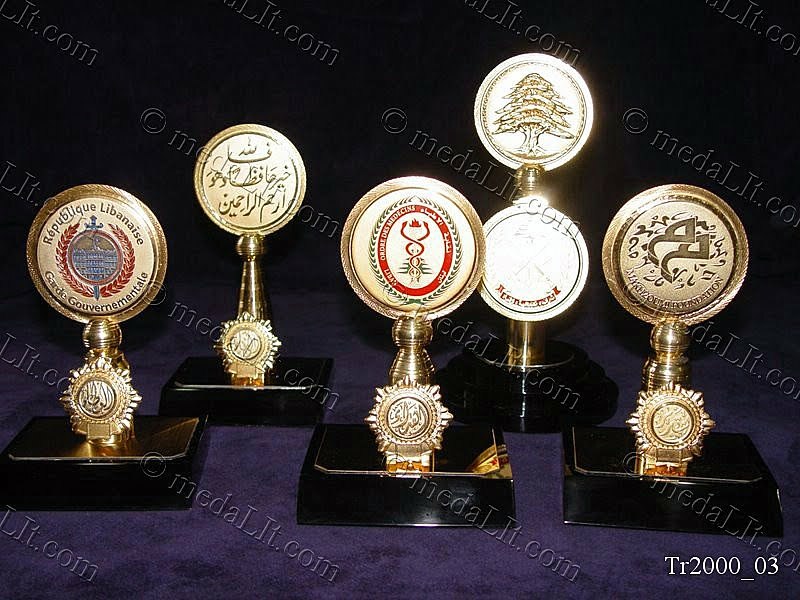 Absi Medal Raisers are made from one or more custom-engraved medals mounted on a highly finished brass cylinder or a raiser decorated with suitable parts, medals are 24k gold-plated. All pieces are shaped and engraved to embody your message. Absi Medals' Raisers offer an appealing look and distinguished by a small footprint on the beholder's desk; they are made from a custom-engraved medal framed in a brass disk mounted on a crafted brass raiser standing on a wooden or acrylic base and decorated with a custom engraved plate embodying your message. All parts are finished to guarantee high quality finishing. Medals' raisers are presented in a carton box or luxury velvet box.